24K Classic Hand & Body Cream – 100 ml. / 3.38 fl. oz. This light-weight hand and body cream is infused with organic argan oil and chamomile to help protect against dryness. The Classic Hand and Body Cream offers a luxurious skin-soothing experience. 24K Aromatherapy Body Oil – 100 ml. / 3.38 fl. oz. The 24K Aromatherapy Body Oil is made with a blend of precious, nourishing oils and natural botanical extracts. With no synthetic fragrance, this luxurious oil is especially formulated to leave skin feeling moisturized, healthy and radiant. 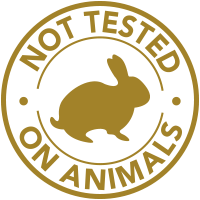 24K Mousse Cleanser – 100 g. / 3.53 oz. This gentle cleanser transforms into a creamy lather to effectively diminish the look of impurities such as dirt and makeup. 24K Purifying Toner – 100 ml. / 3.38 fl. oz. 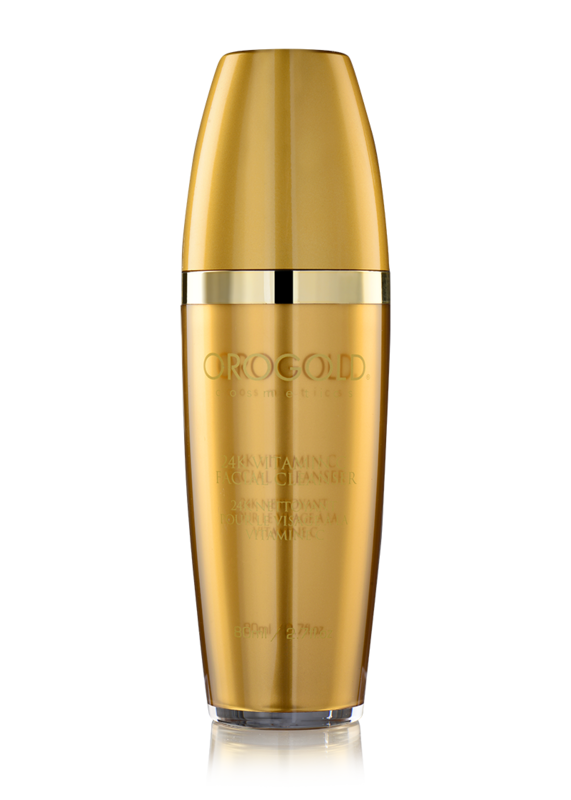 24K Multi-Vitamin Deep Peeling – 50 ml. / 1.76 fl. oz. 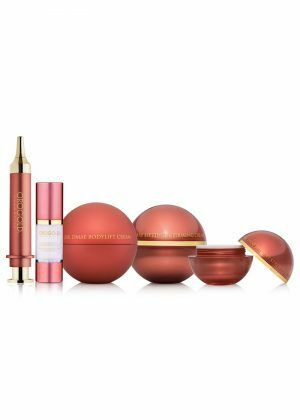 24K Deep Moisturizer – 45 g. / 1.6 oz. 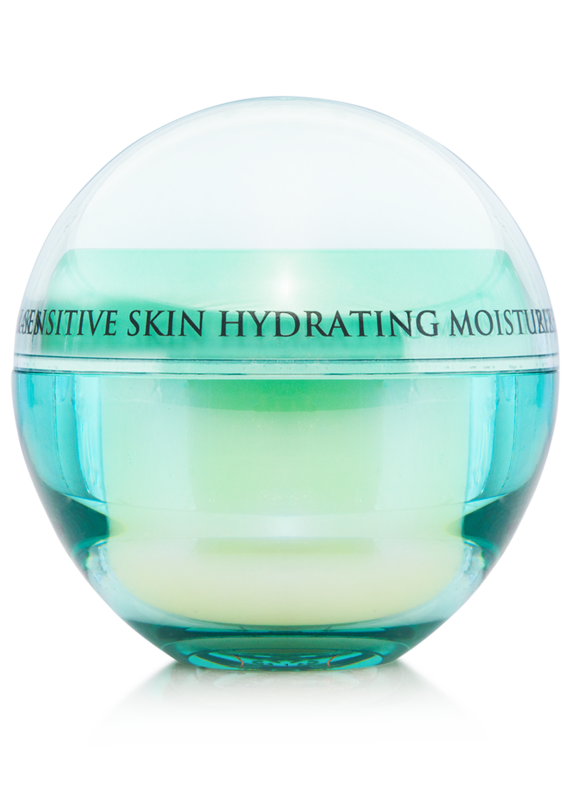 This moisturizer has a light, non-greasy texture that offers hydrating ingredients for healthier looking skin. 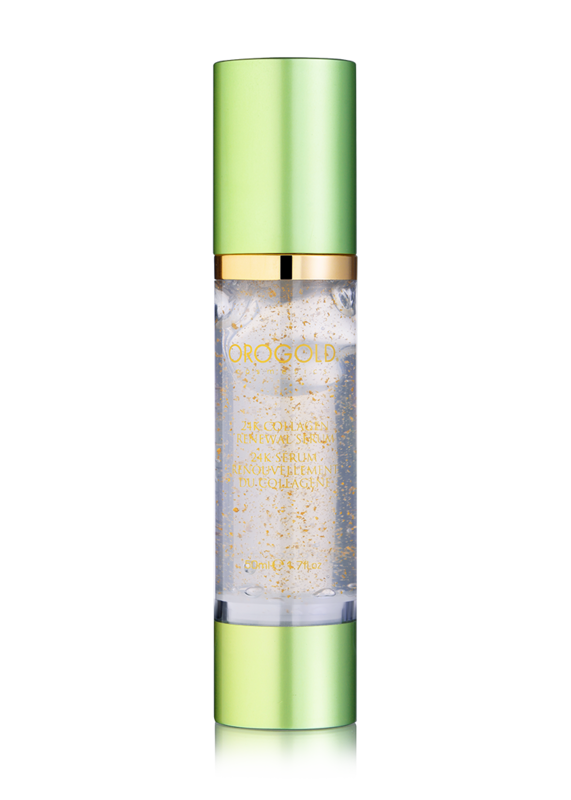 Help replenish your appearance with the 24K Deep Moisturizer. 24K Classic Body Butter – 250 ml. / 8.45 fl. oz. This classic cream is made with a magnificent blend of rich ingredients. Deliver a new kind of softness to your skin. Suitable for dry skin types to leave you in luxurious comfort all day. 24K Classic Body Scrub This luxurious scrub helps to gently polish the skin. Formulated with rich ingredients, the 24K Exfoliating Body Scrub will leave your body with an extraordinarily soft feel. The 24K Renewal Lip Balm is enriched with superior conditioners and anti-oxidants to help protect and maintain healthy lips. Castor oil and mango butter help heal and soothe chapped lips, while collagen is known to give a fuller appearance. Use the 24K Renewal Lip Balm for a more youthful and plump looking pout. 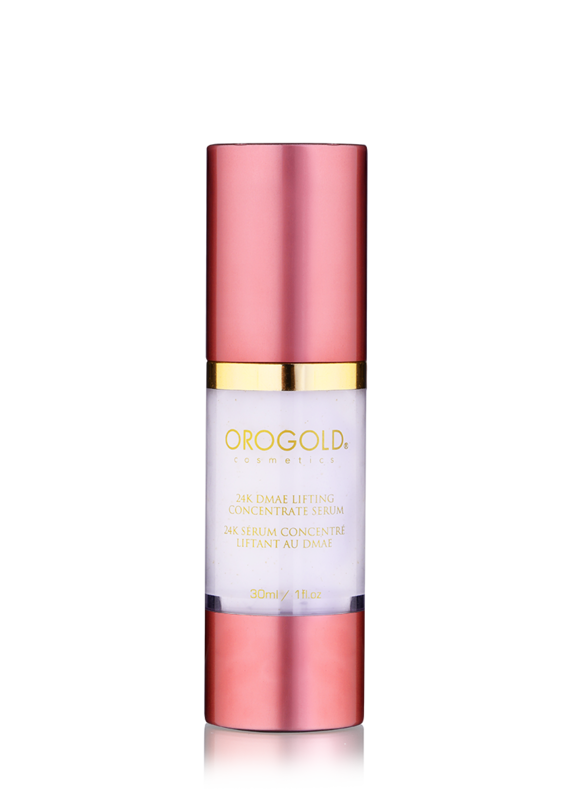 Refresh and restore suppleness and luminosity to maturing skin with OROGOLD 24K Overnight Cream. This lush moisture cream is brimming with anti-aging benefits from a botanical-rich multivitamin formula. 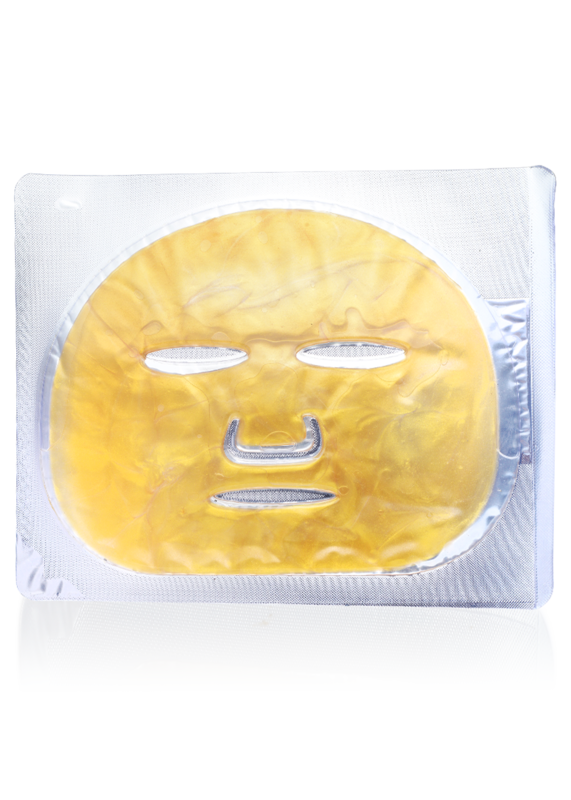 Use nightly and experience a renewed look of youthfulness as signs of dryness, fatigue and fine lines are diffused and diminished. 24K Classic Body Scrub – 250 ml. / 8.45 fl. oz. 24K Classic Hand & Body Cream Apply to hands and body throughout the day, as often as desired. Massage until absorbed. 24K Aromatherapy Body Oil Apply generously onto damp skin. Massage into skin evenly. Use daily for optimal results. 24K Mousse Cleanser Apply a small amount onto hands and massage into face. Rinse with cool water. Use twice daily. 24K Purifying Toner Using a cotton pad, apply to face and neck after cleansing. If desired, use this toner as a refreshing mist. 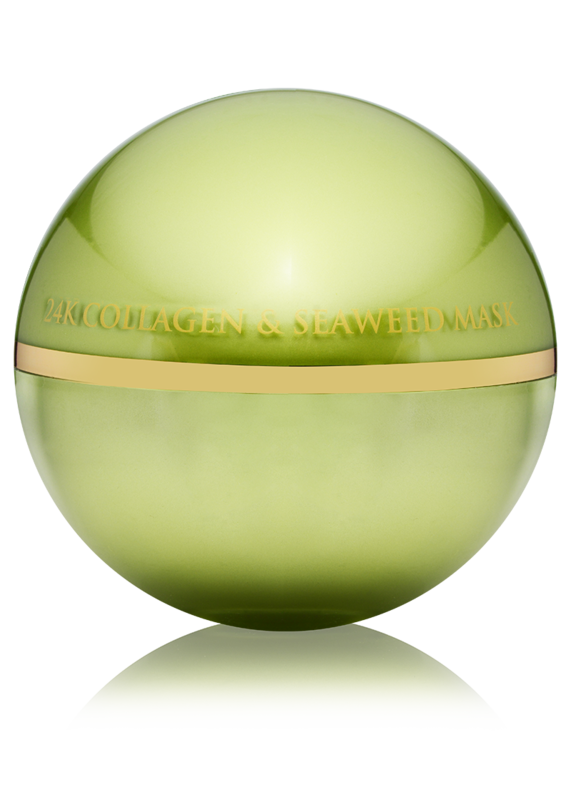 24K Multi-Vitamin Deep Peeling Use once per week. Apply gel onto dry cleansed skin and gently rub in circular motion avoiding eyes area. Rinse off with cool water. 24K Deep Moisturizer Massage a small amount onto face and neck. Use daily. 24K Classic Body Butter Massage onto clean skin after bathing or showering. For best results, use after exfoliating with the 24K Classic Body Scrub. 24K Classic Body Scrub Best used in the shower. Massage onto wet skin using circular motions. Rinse off with warm water. Follow with the 24K Classic Body Butter. Water (Aqua), Sodium Cocoyl Alkyl Esters, Sodium Lauroyl Methyl Isethionate, Stearic Acid, Sodium Methyl Cocoyl Taurate, Glycol Distearate, Cocamidopropyl Betaine, Caprylyl Glycol, Acrylates/Steareth-20 Methacrylate Copolymer, Sodium Cocoyl Glutamate, Disodium Cocoyl Glutamate, Glycerin, Phenoxyethanol, Salix Alba (Willow) Bark Extract, Chamomilla Recutita Flower/Leaf (Organic Chamomile) Extract, Sodium Hydroxide, Calendula Officinalis (Marigold) Flower Extract, Propanediol “Zemea”, Sodium Pca, Sodium Lactate, Glycerin (Organic), Epilobium Fleischeri Extract, Zinc Pca, Shea Butter Ethyl Esters, Argania Spinosa Kernal (Organic Argan) Oil, Methylisothiazolinone, Tetrasodium Edta, Gold, Moringa Oleifera Seed Oil, Citric Acid. 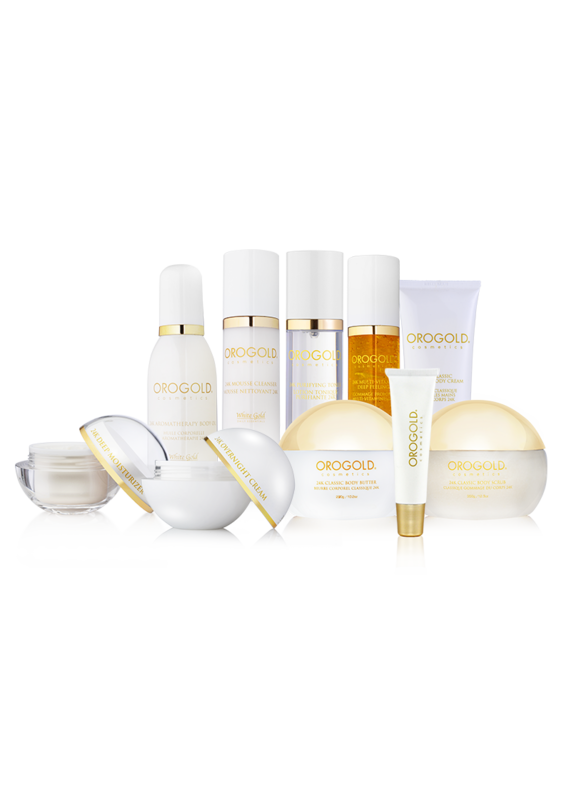 The following is a weekly regimen using only the facial products from the 24K White Gold Collection. See the individual product pages for complete product instructions. STEP 1: Cleanse your skin with the 24K Mousse Cleanser according to the package instructions. STEP 2: Pat skin dry then apply the 24K Multi-Vitamin Deep Peeling according to the package instructions. 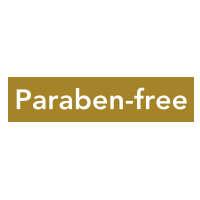 STEP 3: Pat skin dry then apply the 24K Purifying Toner according to the package instructions. STEP 4: Allow skin to dry, then apply the 24K Deep Moisturizer.